We can remove your old carpet floors for you. Did you know that removing or replacing carpet is one of the best ways to add instant value to your home or investment property? Whether you are breathing new life into your home, or you are rejuvenating a rental property, replacing or removing old and tired carpet is a simple way to add tangible value to your property with relatively little outlay. What’s more, many older houses in Melbourne have beautiful and highly sought after Baltic Pine, Jarrah even Murray River Red Gum hardwood timber flooring, which can add thousands of dollars in value to a property. Residential carpets are laid in many different ways. In most houses, the carpet will sit on top of an underlay, which in turn sits on a base layer of flooring known as the “subfloor”. Subfloors can be made of different materials such as hardwood floorboards, hardboard, MDF, plywood or concrete. The main types of underlay are rebond foam, SBR latex, rubber and felt or hessian in older homes. Underlay will usually be stapled to a timber subfloor or glued to concrete. 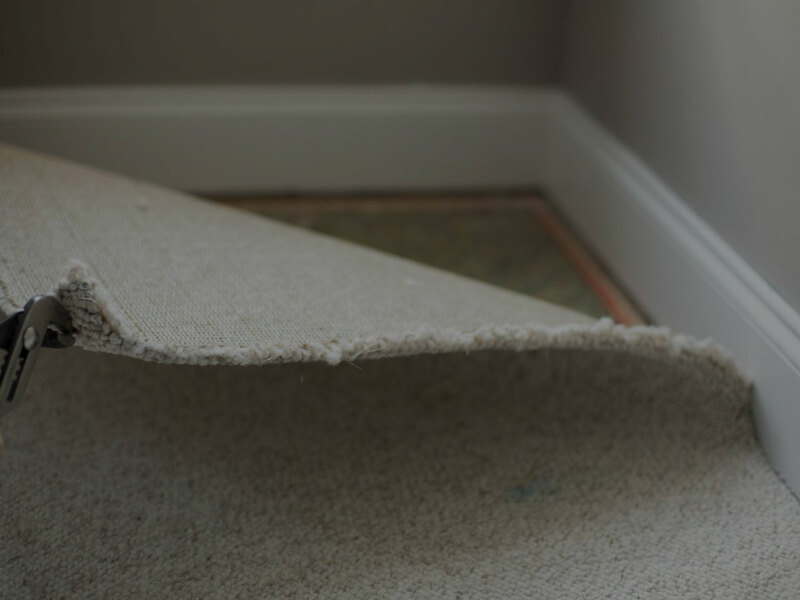 If your carpet hasn’t been replaced in a long time, the underlay may be damp or rotting and can be difficult to remove. Carpet sits on top of the underlay and will usually be fastened with nail strips (also known as tack strips or smooth edge strips). Whether your carpet is glued or nailed down, we’ve done it all before and can remove your carpet quickly and efficiently. To remove a stapled carpet, we’ll lift the carpet and underlay from the subfloor and remove any fasteners. We then remove each and every underlay staple. If your underlay is glued to a concrete subfloor, we have specially designed machines to strip the carpet and glue, quickly and efficiently. After the carpet and underlay are gone, we clean and vacuum the subfloor, leaving it level and ready for the carpet layer to walk in and start laying carpet immediately. Why do I need a professional to remove my residential carpets? New carpets or floorboards should add value to your property, not make you lose money. Plus let’s face it, you probably have better things to do with your time than pull up heavy carpets and remove hundreds of staples by hand. Don’t let a budget contractor or inferior carpet removal company, scratch and damage valuable hardwood flooring or leave you with a botched job. Carpet underlay (especially in older houses) can also be full of dust, allergens and mould and may aggravate or trigger asthmatic conditions in you or your children. We have the knowledge and the equipment to deal with this. Do it once and do it right. Over the years, we’ve removed acres of every carpet type and we have acquired the tools and skills to get your job done, quickly, cost-effectively and to the highest standards. We understand that your good word of mouth recommendation is more valuable than any website or ad campaign. We also value your repeat business. It doesn’t matter how big or small the job is, we work tirelessly to leave a good impression. We don’t overbook jobs, never over-promise and under-deliver, and our Melbourne carpet removal specialists are the best at what they do. Get a free quote right now, by filling out the quick and simple form on this page.